Rotors for higher levels of efficiency in e-motors. Thanks to our patented cut and fill technology, we succeed in filling the rotor in a uniform and controlled manner and thus create the basis for the optimal performance of your e-motor. The fields of application of copper rotors can be divided into two classes. Rotors for industrial motors: Here the rotational speeds are often less, so that we can work with pure copper as the rotor material. 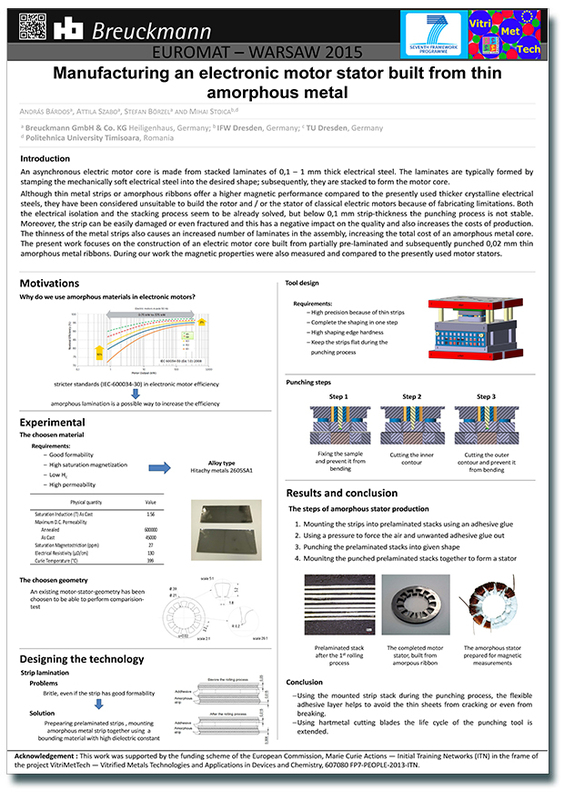 Rotors for e-mobility: Outstanding motor efficiency is achieved here for high rotational speed concepts. 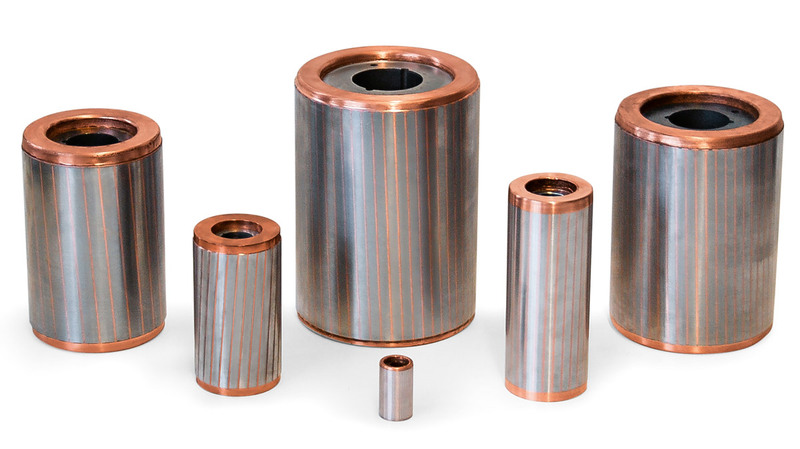 The copper rotor is under strong mechanical stress caused by the centrifugal forces of the rotating mass. The required rotational speed of a given rotor diameter determines whether it is possible to use technically pure copper. If the threshold is exceeded in relation to thermo-mechanical loads, we recommend our pure copper mircoalloy, which offers increased tensile strength and high temperature strength. Thanks to its simple and robust design, in addition to its operational reliability and economic efficiency, the three-phase asynchronous motor is by far the most popular asynchronous motor for industrial drives. In the case of these induction motors, the new efficiency standards and standard specifications in accordance with EC 60034-30 (IE3 Premium Efficiency and IE4 Super Premium Efficiency) can only be achieved with difficulty or not at all when using the common cage rotor material aluminium. As an alternative to the asynchronous motor, synchronous motors using the highly-promising permanent magnet technology also achieve very high levels of efficiency. However, it is important to pay heed to the wide-spread problems with this other technology, such as for example the required use of converters, the difficult price and supply situation for the rare earths in addition to the unresolved issue of recyclability. 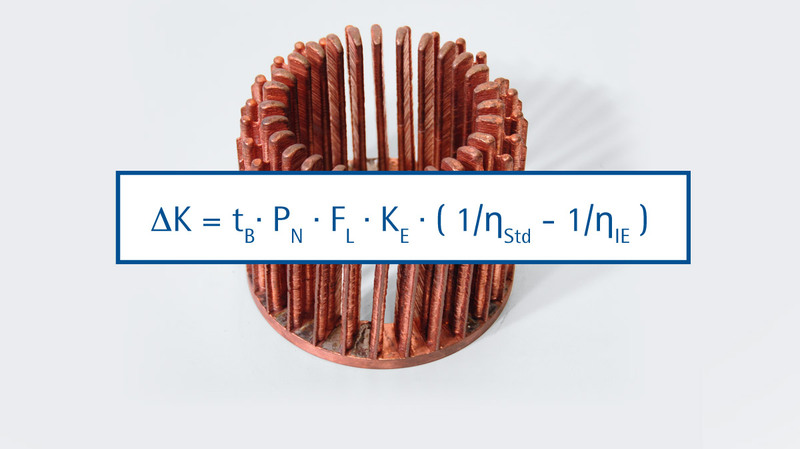 Consequently, the cast copper rotor is the simplest solution to achieve high motor efficiency in accordance with IEC 60034-30 efficiency classes IE3 and at times even IE4 – and that with no change in the construction size! A series of trials at different annealing temperatures has shown that the high casting temperature of copper does not infiltrate deep into the iron, as the thermal conductivity of iron only amounts to a tenth of that of copper. The iron losses decrease and the magnetisability increases. By using copper instead of aluminium, the resistance in the short-circuit winding of the rotor is lowered – and consequently also the starting torque. 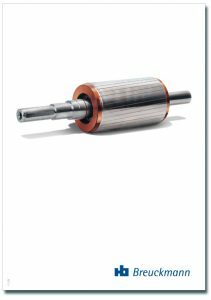 The copper rotor advantage is used to gain increased power density in the form of a smaller size or more power within the same size. It is not absolutely necessary to use high-quality sheets of metal – such as for example M270-35 – to achieve the desired IE3 level of efficiency. M270-35 is a high-alloy of Si and Al and leads to increased tool wear and thus to a lower service life for punching tools. Using silicon leads to increased punchability and weldability, but the magnetisation requirement also increases. 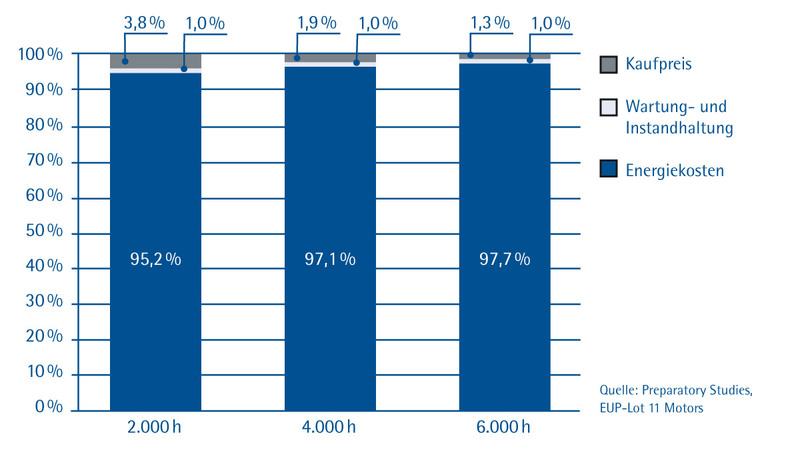 Even though the acquisition costs for highly-efficient three-phase asynchronous motor are initially higher, these costs are nonetheless amortised within a short period of time due to the energy cost savings. In making investment decisions, the overall cost-effectiveness of a drive system should be evaluated using a life-cycle analysis (LCC analysis). Energy-saving motors with copper rotors are not technically viable but also economically! It is also possible to specify an ecological payback period. This is even shorter: an efficient motor has saved so much energy within a few weeks or latest a few months as was required for the acquisition of the additional alternative material. Nowadays, used products are recycled and integrated into material cycles. 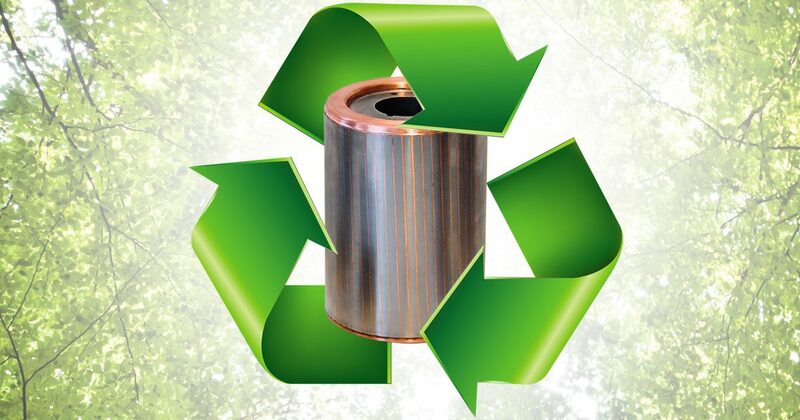 The copper rotor is made up of easily separable copper and iron and therefore presents no waste after its very long service life, but rather is a sought-after source of raw materials. Copper high pressure die casting requires a high purity of the melted mass and a casting temperature of approx. 1,150 °C. These prerequisites are in place and therefore cost-effective series production is possible. 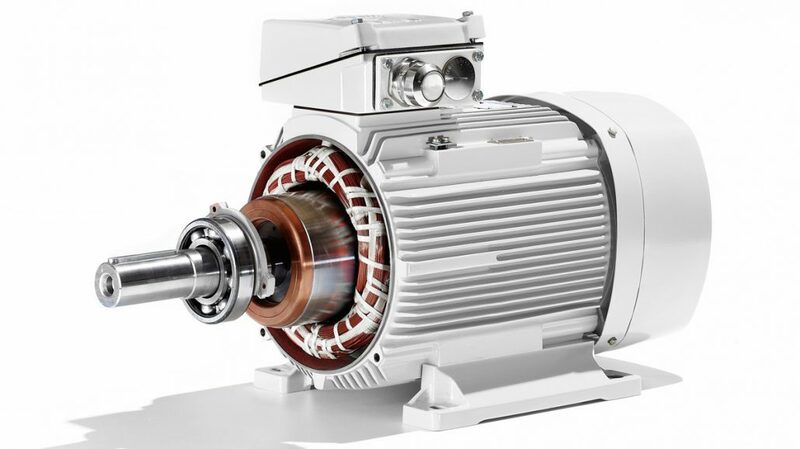 In order to further improve the efficiency of energy-saving motors, the cage cast in the motor’s rotor can be manufactured using copper instead of aluminium high pressure die casting. 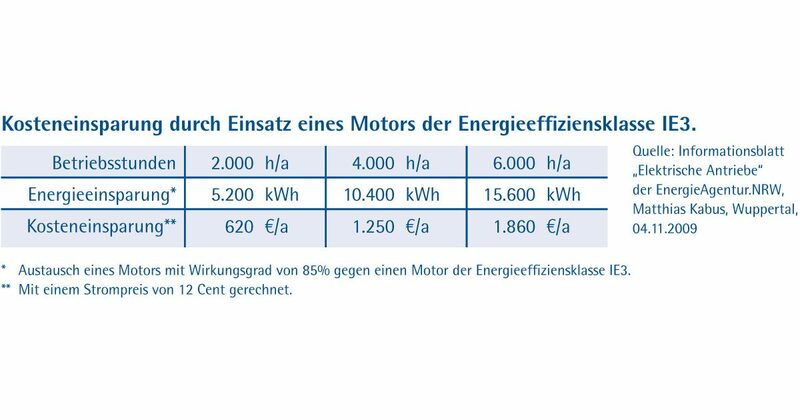 The deployment of energy-saving motors is worthwhile from a technical and ecological standpoint; amortization is possible in periods of between a few months and a maximum of 3 years. Incidentally: a further increase in efficiency is possible in three-phase asynchronous motors by using silver as the rotor material (silver rotors). However, due to the exceptionally high raw material costs, these rotors are only suitable for special applications such as for example performance tuning. If you would like to learn more about this topic, please do not hesitate to contact us.